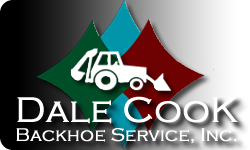 About Dale Cook Backhoe Service, Inc.
Dale Cook Backhoe Service, Inc. is a family-owned and operated business established in 1983. We have been doing backhoe work in Bastrop and surrounding counties for the past 27 years and have earned a reputation for quality, honesty and integrity. Our company and employees strive to meet the highest level of customer service and satisfaction. 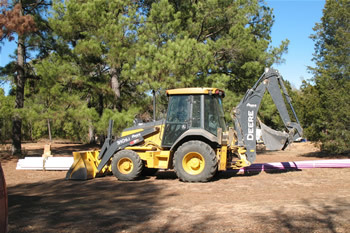 Dale is a Texas State Licensed Site Evaluator (OS0009642) and Texas State Licensed Septic Installer II (OS0017962). DCBS, Inc. is fully insured and will be happy to provide a certificate of insurance upon request. DCBS, Inc. specializes in the designing and installation of on-site sewage facilities utilizing both Standard Disposal Systems (conventional absorptive drainfield and Non-Standard Disposal Systems (alternative) professionally designed systems) for residential and commercial structures.